Pop star Ricky Martin is extending his Las Vegas residency and using the extra shows to benefit the survivors of Hurricane Maria in his native Puerto Rico. The Livin' La Vida Loca hitmaker has added 12 concerts to his All In at Park Theater show at the Monte Carlo Resort and Casino beginning on 15 March and running until 3 June (18). 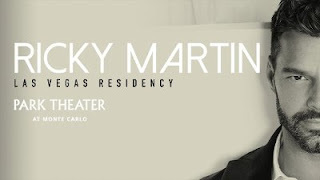 Martin will donate $1 (£0.75) from each ticket sold to his Ricky Martin Foundation, which he formed in 2002, through which he has made a number of mercy missions from his home in the U.S. to Puerto Rico, each time taking a plane full of basic necessities to distribute among residents still struggling with the aftermath of the hurricane. However, he previously insisted there is a lot more work to do before locals will be able to get back to normal. "This is a commitment for many years to come, because, unfortunately, we were hit very hard," Ricky said last month. "Being with the victims was very difficult because that's when you realise how serious the situation is. "Unfortunately, the images we see on the news don't do justice to the reality of what has happened in Puerto Rico... It has been social chaos and that is very difficult to accept, but we have to pull up our sleeves and get to work. That's every citizen's duty right now." Ricky isn't the only celebrity doing his part for disaster relief - in October, Jennifer Lopez teamed up with her boyfriend Alex Rodriguez and her ex-husband Marc Anthony to stage their own TV gig, One Voice: Somos Live! A Concert for Disaster Relief, raising $35 million (£26.2 million) for those in need, while she also performed at JAY-Z's star-studded Tidal X Brooklyn concert in New York on October 17, which brought in a further $3.7 million (£2.8 million) for the cause.